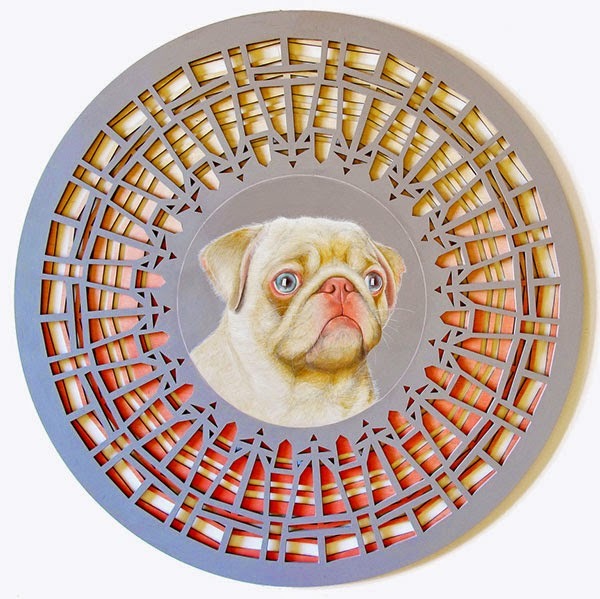 A series of mixed media works by Tasmania-based artist Laura Kennedy combining drawings of canines and lasercut designs inspired by Frank Lloyd Wright’s prairie style light screens. The artworks are "intended as a satire of the dispassionate and objective nature of scientific classification and illustration." 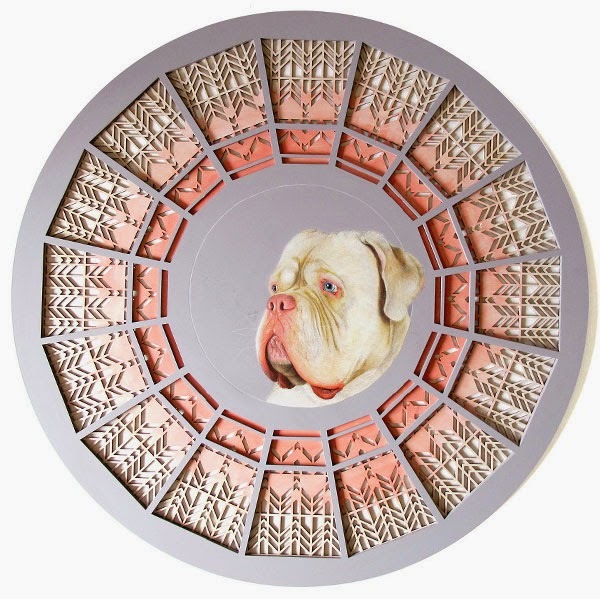 Despite the more common awareness of the pigment disorder Albinism, all dogs that convey an absence of colour and pigment are in fact Leucistic, which is a similar but slightly different condition. Kennedy is endlessly fascinated with the visual influence colour has on the appearance of animals who are well known for their markings and it is a reoccurring theme in her work. On view at Penny Contemporary Apr. 17 – May 13 as part of the The Pretty Ugly Project to raise money for the Dogs' Homes of Tasmania.